As we get older, we go through a number of cellular, physiological, and psychological changes. We need more Calcium, Vitamin D and B Vitamins, as well as many other specific nutrients that are deficient or not present in a normal diet. Studies have shown that these nutrients play a very effective role in preventing, reversing and improving health conditions associated with aging. 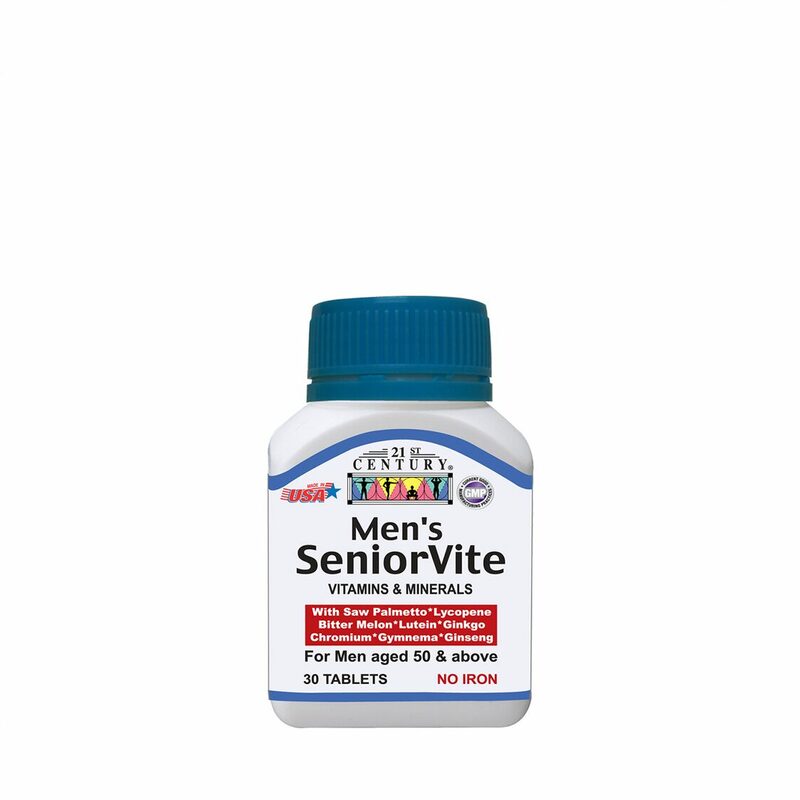 21st Century’s Men’s Seniorvite is specially formulated with vitamins, herbs and other nutrients to help provide a strong nutritional supplement for Senior Men.